Recent investments and digital initiatives in the country could make it the go-to place for Internet giants and entrepreneurs seeking a rural impact, as demand for the web continues to rise. Africa is set to be the next frontier for Internet giants looking to expand their reach–if Google’s latest foray into the continent is any indication–and Zambia could be a major hub, despite being a largely rural country. The demand for Internet services, even among farmers, is growing there and a number of Internet initiatives–including a solar-powered Internet cafe–have recently taken hold in the country. “With Skype I just contacted [a vet]. He was able to respond within a few minutes and I was able to give my animal the right drug,” a local farmer from the tiny town of Macha, Fred Mweetwa, told the BBC. Macha, Zambia, a farming village 50 miles away from the nearest city, has become an unlikely home to Internet-hungry individuals. Over the years a number of missionary and medical projects were set up, each building upon the other, until farmers eventually learned about Skype and village chiefs began to demand the Internet. Not far from Macha, in the town of Chikanta, sits Zambia’s first solar-powered Internet cafe. “We have our teachers who are now able to communicate with agricultural officers. Government officers who come to work here will be reporting directly from here to district headquarters which we were not able to do before. Every chief in Zambia wants this,” the local Chikanta Chief told the BBC. 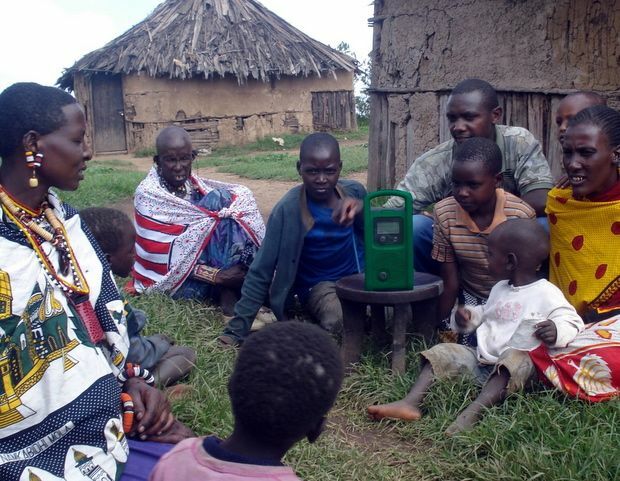 The Lifeplayer is also an example of the Internet revolutionizing parts of rural Africa–the Lifeplayer radio is an all-in-one device meant to provide people in the most remote and inaccessible regions with an educational replacement–complete with podcasts, Internet access, and cellular service–and the device is solar powered. Users of the Lifeplayer are primarily interested in agricultural information–as you might guess–and users often gather around and listen to that and other information. “It’s absolutely fit-for-purpose for the environment it was created for,” Lifeplayer founder Kristine Pearson once told Fast Company. And in Kenya–where Nairobi’s iHub sits–a group of young entrepreneurs recently launched M-Farm, a social network for farmers that helps them market their products and obtain fair market pricing information via their mobile phones. But Kenya is far more developed than rural Zambia and is already host to a number of Internet startups and initiatives. So while South Africa is the major economic hub of the continent–having been formally invited to join the BRIC group–it may just be Zambia that becomes the go-to place for the continent’s rural digital revolution and the people there may not even have to abandon their agrarian roots in order to join the global economy.